For months, thousands of volunteers, sponsors, contestants, parents, and supports have voiced their opposition to the current leadership of the Miss America Organization. We do not protest because of change, we protest because there is a blatant lack of transparency, integrity, and good governance in those managing the organization. We have reviewed this matter with qualified legal counsel and will be filing a legal complaint with affected State Organizations advocating for a restoration of the values of Miss America very soon. The complaint will set out causes of action for bad faith and injunctive relief, among others. 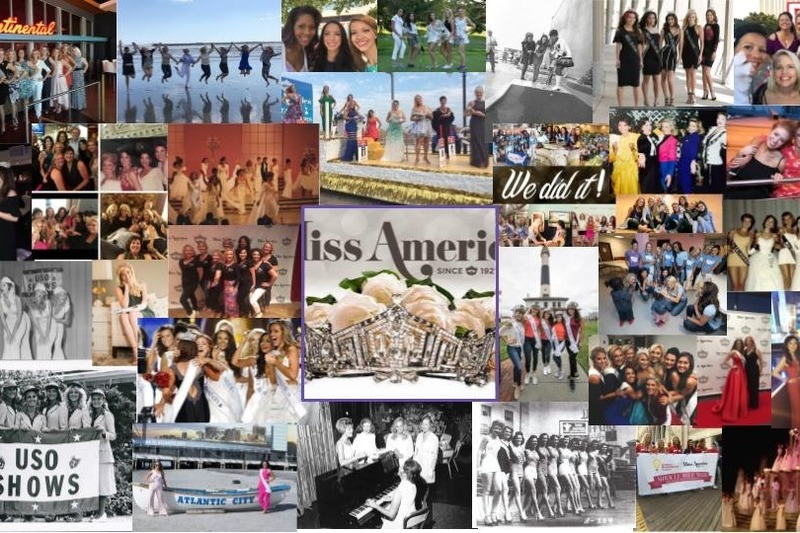 It is our hope that the collective efforts of the many stakeholders will save Miss America. #InvestInIntegrity #SaveMAO Purpose of funding: To support legal action on behalf of willing State Organizations; and then To support necessary public relations services to help restore public trust and respect in the governance of the Miss America Organization. We commit that the new leadership we seek will: Incorporate stakeholder groups as real and permanent partners in order to continue the progress and sustainability of the Miss America brand and values. These stakeholder groups include the Miss America Sisterhood, State Delegations (inclusive of Local volunteers), and MASTA. Create and streamline the governance structure into a transparent system which integrates publicly recognized good governing practices in local, state, and the national level. Review and amend all official documentation and contracts, striking any and all language that dictates that the involvement of individuals, State Organizations, and State Contestants, and Miss America can be amended “with or without cause.” Embrace changes needed to engage growth among participants, educational partners, sponsors, and volunteers without compromising stakeholders and the integrity of the organization. Market and promote the cause-oriented young women of the organization who are achieving educational and career successes while also delivering community impact. Strive to create a nationally televised event which upholds the existing rules of competition so that all contestants and state licensees are aware of the competition elements at least 60 days prior to competition. Commit to providing participants the opportunity to showcase their talent, communication skills, style, and physical fitness during competitions at every level. Leverage any unused funds raised to support the goals and commitments as stated above. If for any reason, these goals cannot be met under the current Miss America Organization, these funds will go towards a new organization that will maintain all of the guarantees as previously stated. There is no more time to waste! We need to act now to preserve our beloved organization and facilitate a fair and transparent transition to bring credible leadership which secure the continued success of the Miss America Organization. Please consider a donation (which can be anonymous) and help us exceed our goal! Together we can save Miss America! Thank you! I know it has been many months since I have been able to fully share with transparency the progress of the case seeking a meaningful change in the leadership of MAO. Since the preliminary injunction hearing, both sides have put forth offers to settle, but in the end, I couldn't accept what MAO offered because I believed it did not include any proposed changes that would ultimately improve the short- and long-term health of the Organization. In attempting to come to a resolution with MAO, I put forth a proposal that could have improved governance and transparency of the board and the treatment of the states and titleholders, especially Miss America. My proposal did not include changing the make-up of the board in any way, but instead was a series of suggestions to improve the Organization at every level through greater transparency and balanced collaboration with volunteers, state titleholders, and more. I asked MAO to consider amending the current Bylaws as well as the State and Miss America contracts so that fair dealings would be explicit and articulated in every way. While I believe my proposal gave MAO the opportunity to heal in the wake of serious discord and move forward in a positive way, it was summarily rejected. At this juncture, I can do no more than what I've done. Continuing litigation will cost at least as much as we have already raised. In light of not having those funds available, I regretfully share that I have dismissed the case. The case was “dismissed without prejudice,” leaving open the opportunity for future litigation within the statute of limitations should the financial resources become available. My decision also ensures that neither MAO nor other individuals at the top can silence me through onerous non-disparagement agreements, threats of future litigation, etc. At this time, however, I have nothing more to add to the facts than I've already stated here or in previous communications. I continue to believe that this Organization is being led unethically using intimidation tactics, primarily to serve personal agendas, and by those without the business skills necessary to manage and improve the financial health of the Organization. I believe that it is antithetical to have an empowerment organization that dictates heavy-handed disparagement contractual language for its stakeholders. I believe there is no real understanding or compassion for the countless volunteers who have dedicated years of service, let alone continually investing in and celebrating the goals and achievements of the exceptional young women who participate. I am proud that we have spoken truth to power and that anyone who chooses to become involved with this program will at least know the truth thanks to the actions we have brought forth. In the end, it is imperative that we preserve and defend our voices and our integrity --- that is true empowerment. In full transparency, I want to share the breakdown of our funds and balance. With the latter I recommend that we donate to a scholarship fund even though initially we said left over funds would be used for a new organization. I put forth donating to MAOT or MAF, but I am open to suggestions. If anyone has any questions about anything, please feel free to contact me at my email, jenvaden@gmail.com. authority to act on behalf of MAO. can determine the veracity and merits of the Complaint. its license agreement shortly after the September 9 telecast. dealing and transparency in managing the 501(c)(4) nonprofit. positions or illegally forced to resign. crowned on live TV in September 1954.
documentation about the legal action would be forthcoming in January 2019.
civil plaintiffs and white-collar defendants in Georgia. without you. And if you cannot afford to contribute, please help us spread the word. We are working diligently on securing all evidential facts in order to file legal action very soon. Thank you for your patience as well as your generosity so far. Our fund has not grown in recent weeks and therefore we come to you again to ask for any donation you can make as we are exhausting our funds for legal preparation and action. With #GivingTuesday upon us, we wanted to ask for any donation you can spare! For those that would like to receive a postcard, please contact Jennifer Vaden Barth with your mailing address in the comments! Remember to make your donation anonymous. With over $36K raised we are moving ahead and our reached our matching goal so more to come! In the past three weeks, legal counsel has been secured and letters have been sent to MAO detailing the infractions and illegal action the current Board of Trustees has taken, including exercising power for which it lacks legal foundation, lacking authority to send purported termination notices to States, and as well the current illegal Board of Trustees violating the By-Laws of MAO and failing to abide by the New Jersey Nonprofit Corporation Act. 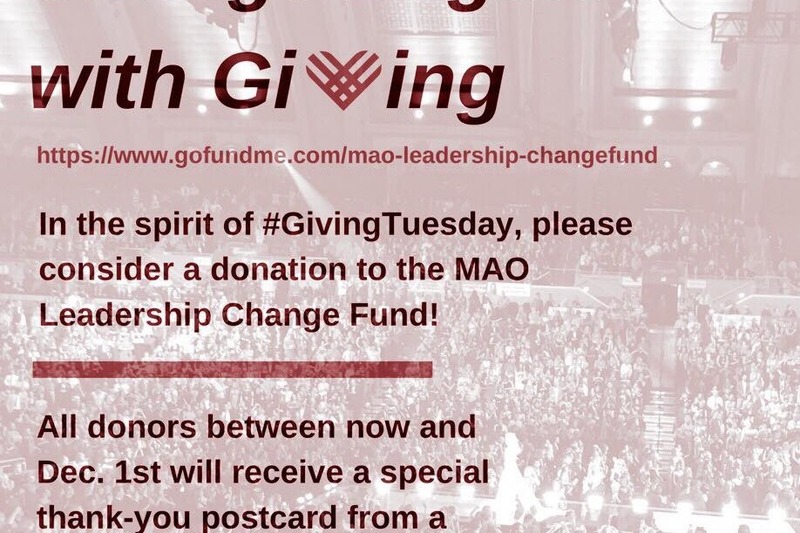 MAO's attempted "Notice of Termination" fails to set forth the default under which MAO purports to terminate; and this as well was a failure for all of the letters warning of probation, though those States are not currently represented by legal Counsel supported by the GoFundMe campaign. MAO has been advised that any communications with States who are under counsel representation must go through said counsel and cannot be communicated directly to any volunteer (Local or State) or a representative thereof including local and state titleholders. We will continue to work in order to bring better governance and stability to the Miss America nonprofit organization and its grassroots community.